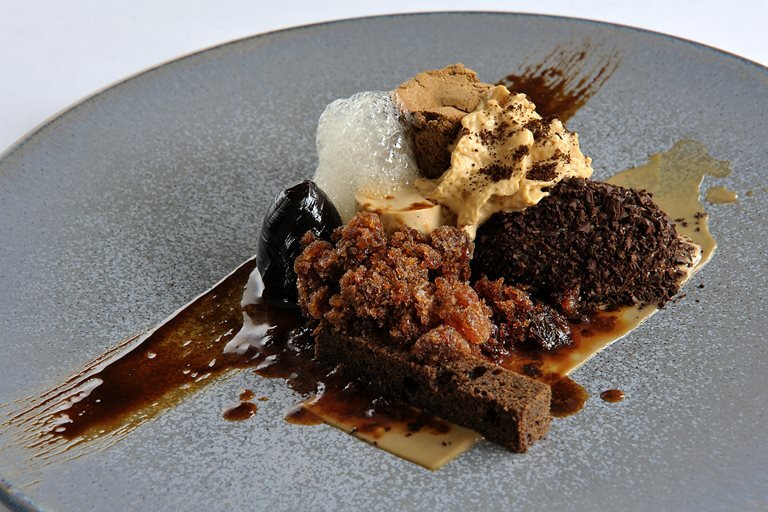 This complex dessert from Tom Aikens is a multi-faceted celebration of coffee. It includes a coffee panna cotta, a coffee brûlée, granita, ice cream and foam! This panna cotta is not for the faint-hearted, so ensure you have all of the necessary equipment before you start.